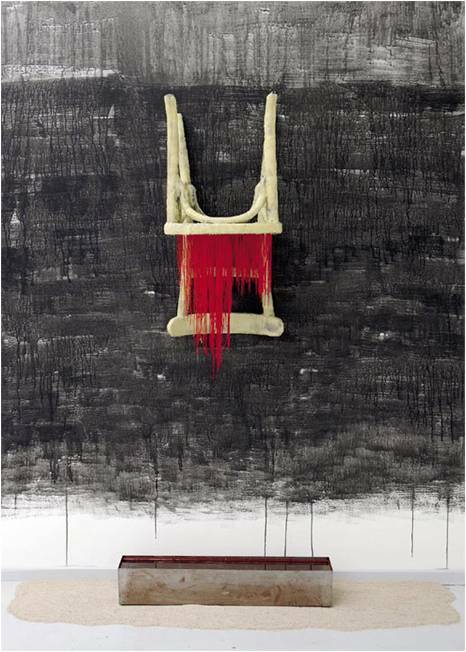 The abstract works of Ziad Haider (1954, Al-Amara, Iraq-2006 Amsterdam, the Netherlands) can be interpreted as deep reflections on his own turbulent biography, but always indirect, on a highly sublimized level. Born in Iraq and lived through a period of war and imprisonment, and after he found his destiny in the Netherlands, he left an impressive oeuvre. 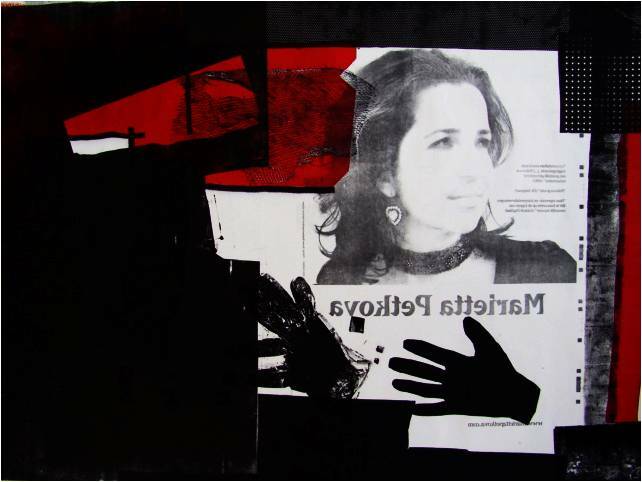 Ziad Haider studied in the first half of the seventies at the Baghdad Institute of Fine Arts. 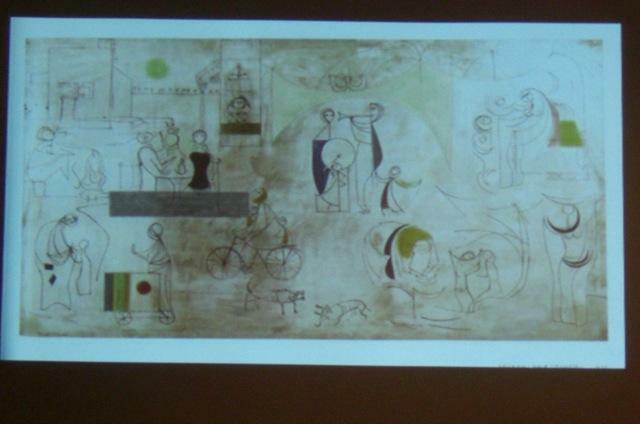 In the two decades before a flourishing local and original Iraqi art scene was created. 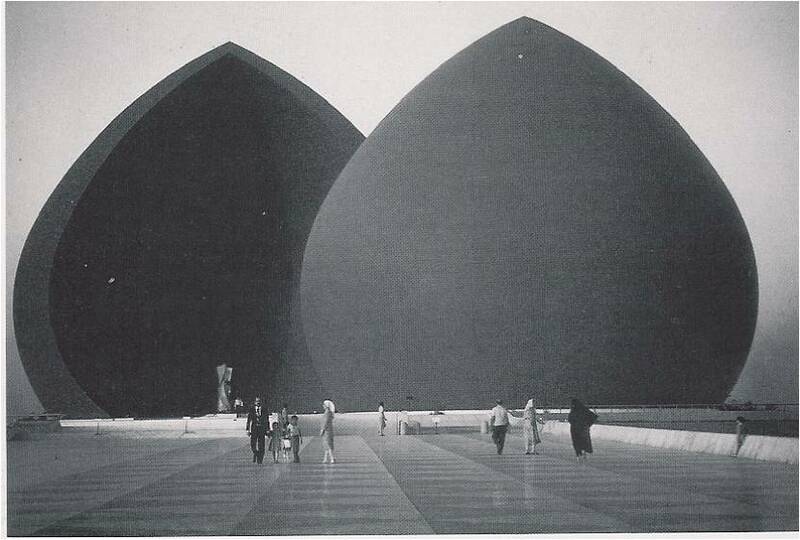 From the fifties till the seventies Iraq was one of the leading countries in the Arab world in the field of modern art and culture. 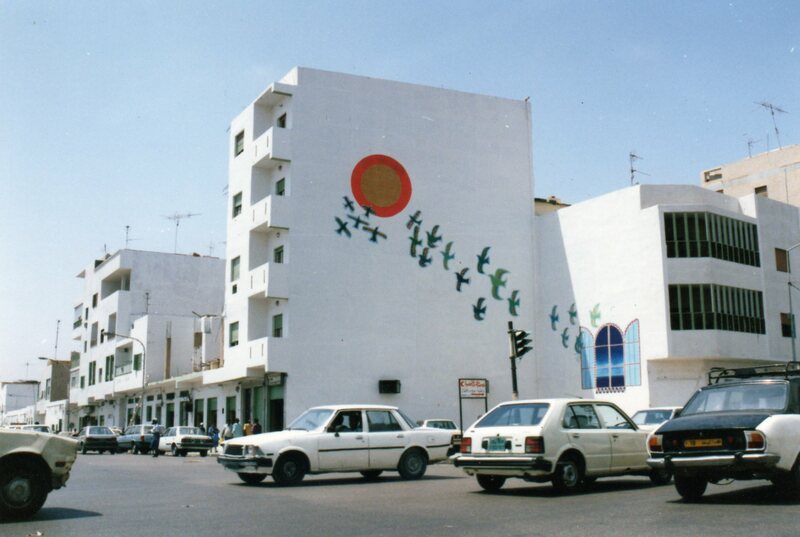 Artists like Jewad Selim, Shakir Hassan al-Said and Mahmud Sabri shaped their own version of international modernism. 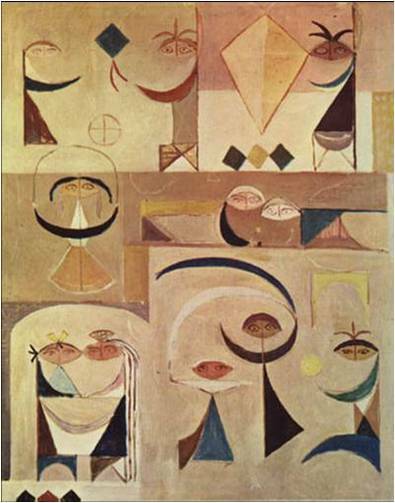 Although these artists were educated abroad (mainly in Europe), after returned to Iraq they founded an art movement which was both rooted in the local traditions of Iraq as fully connected with the international developments in modernist art. They created a strong and steady basis for an Iraqi modern art, unless how much the Iraqi modern art movement would suffer from during the following decades of oppression, war and occupation, so much that it mainly would find its destiny in exile. The turning-point came during the time Ziad Haider was studying at the academy. 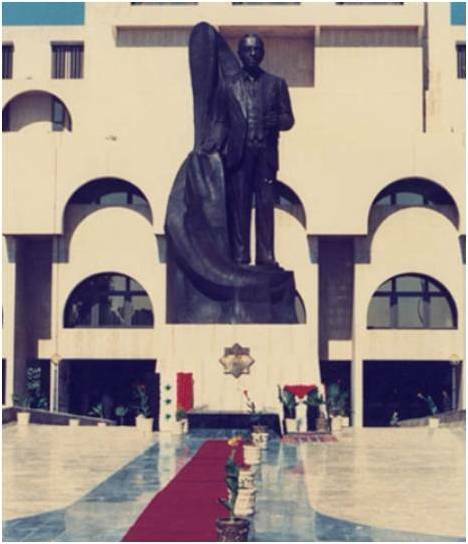 Artists who were a member of the ruling Ba’th party- or willing to become one- were promised an even international career with many possibilities to exhibit, as long as they were willing to express their loyalty to the regime, or even sometimes participate in propaganda-projects, like monuments, or portraits and statues of Saddam Husayn. 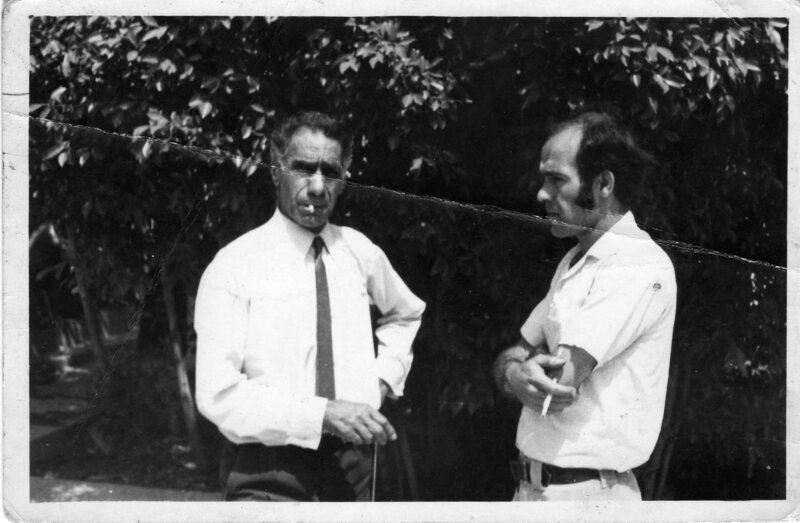 Ziad Haider, who never joined the Ba’th party, was sent into the army. In 1980 the Iraqi regime launched the long and destructive war with Iran. Many young Iraqis were sent into the army to fight at the frontline. This also happened to Ziad Haider. The Iraq/Iran war was a destructive trench war in which finally one million Iraqis (and also one million Iranians) died. 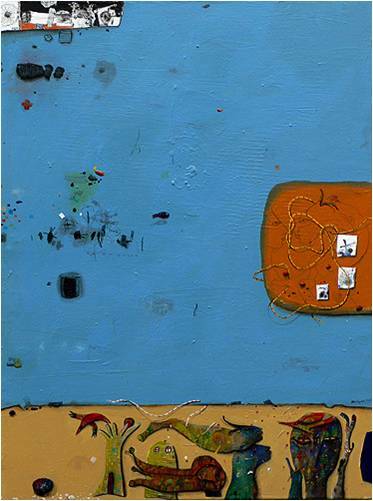 The years of war meant a long interruption in Ziad Haider’s career and live as an artist. It turned out much more dramatic for him, when he was back in Baghdad for a short period at home. He was arrested after he peed on a portrait of Saddam Husayn. Ziad Haider was sent to Abu Ghraib Prison, where he stayed for five years (1986-1990) probably the darkest period of his life. After his time in prison he was sent away to the front again, this time in a new war: the occupation of Kuwait and the following American attack on Iraq. After the Intifada of 1991, the massive uprising against the Iraqi regime in the aftermath of the Gulf War, which was violently supressed, Ziad Haider fled Iraq, like many others. After a period of five years in Syria and Jordan he was recognized by the UN as a refugee and was invited to live in the Netherlands, which became his new homeland. 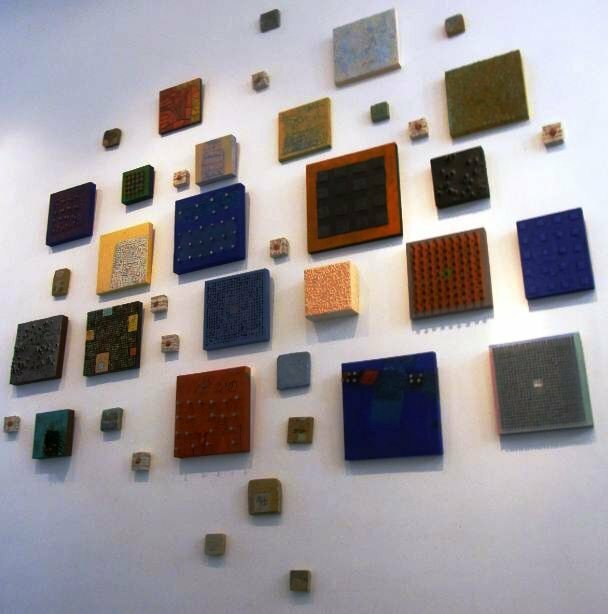 With a few paintings and drawings, he arrived 1997 in Amersfoort. After Amersfoort he lived for short a while in Almere and finally in Amsterdam. 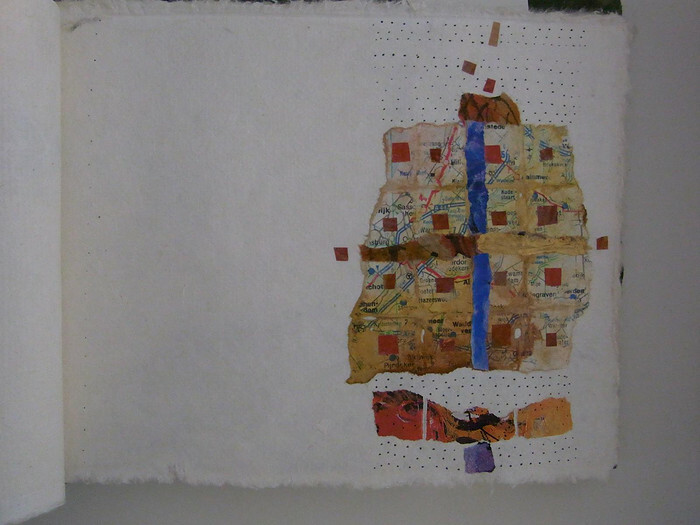 In first instance it was not simple to start all over again as an artist in his new country. Beside he worked further in his personal style he started to draw portraits in the streets of Amsterdam (the Leidse Plein and the Rembrandtplein). Later he organised, together with the Dutch artist Paula Vermeulen he met during this time and became his partner, several courses in drawing and painting in their common studio. 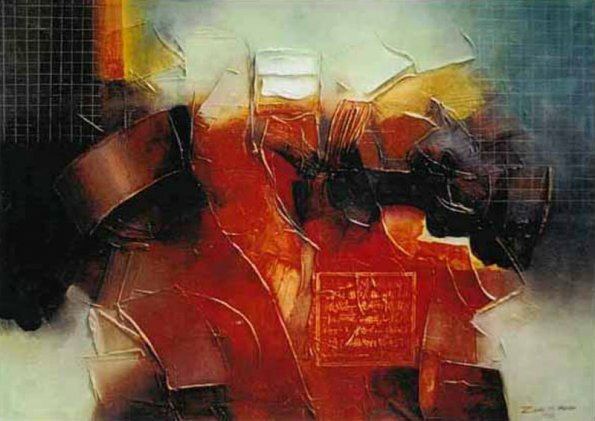 Ziad Haider was very productive in this period and created many different works in different styles. Giving courses in figurative drawing and painting and drawing portraits was for him very important. 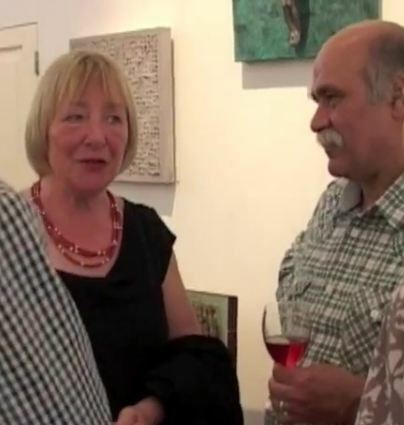 As he told in a Dutch television documentary on five Iraqi artists in the Netherlands (2004, see here) these activities and the positive interaction with people were for him the best tools to “drive away his nightmares”. 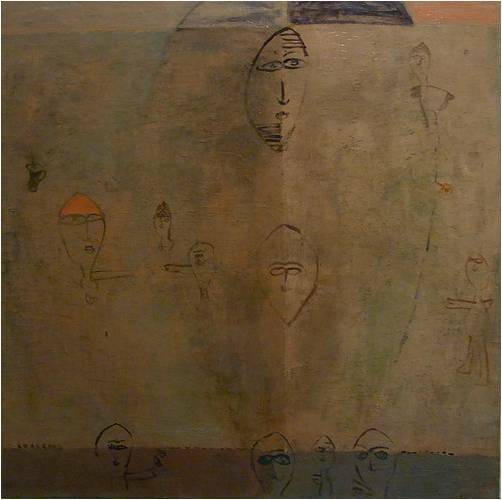 In his abstract works, always the main part of his artistic production, he sought the confrontation with the demons from the past. 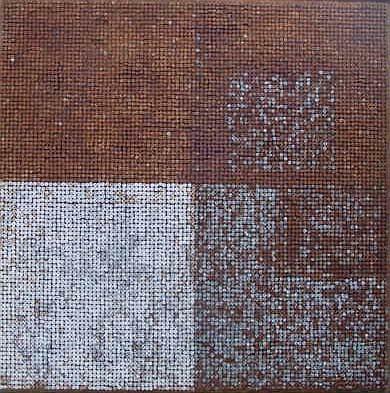 Although abstract there are often some recognisable elements, which are returning in several works during the years. A returning motive is the representation of his feet. This refers to several events from his own life. As a soldier Ziad had to march for days. When he was released from prison, together with some other prisoners, he was the only one who, although heavily tortured on his feet, who was able to stand up and walk. And his feet brought him further, on his long journey into exile, till he finally found a safe place to live and work. The motive of his bare feet is not the only figurative element in his work. In many of his paintings and drawings there are some more or less anthropomorphic elements, often molten together with structures with the appearance of liquid metal. 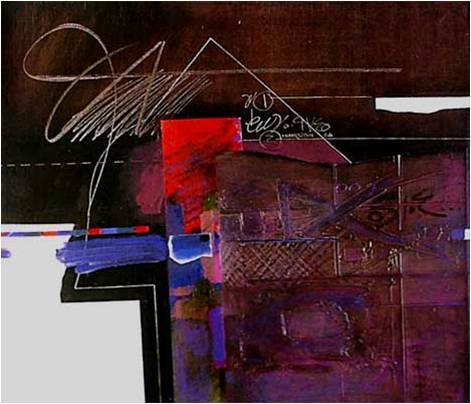 The theme of man and machine plays an important role in the expressive works of Ziad. Of course this is close connected to his own biography and history of war and imprisonment. In some of his works one can vividly experience a sense of a claustrophobic space, referring to his time spending in the trenches during the war, the interior of the tank and- later- the prison-cell. But all these experiences went through a process of transformation, of abstraction and translated in the language of art. 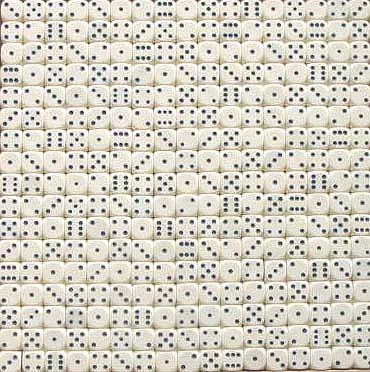 And this art is, unless the underlying struggle, very lyrical in its expression. The also in the Netherlands living Iraqi journalist, poet and critic Karim al-Najar wrote about Ziad Haider: “For a very long time the artist, Ziad Haider, has been living in solitude, prison and rebellion. 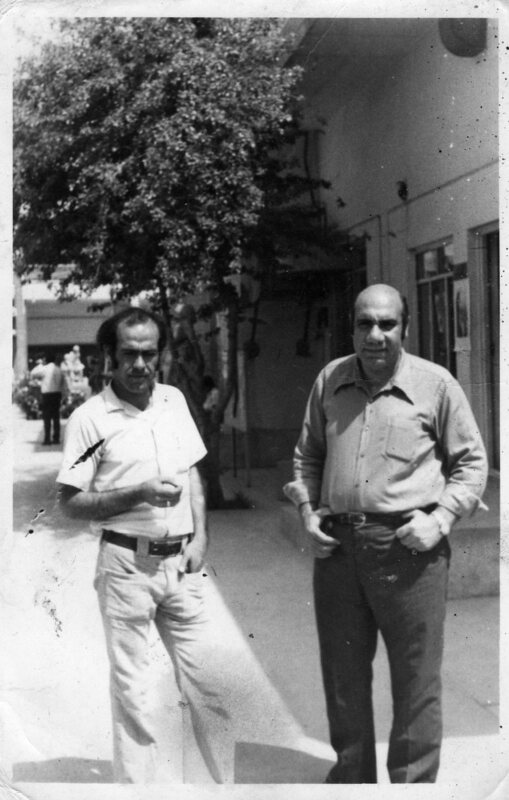 On this basis, the foregoing works constitute his open protest against the decline, triviality and prominence of half-witted personalities as well as their accession of the authority of art and culture in Iraq for more than two decades. Here we could touch the fruits of the artist’s liberty and its reflection on his works. For Ziad Haider has been able to achieve works showing his artistic talent and high professionalism within a relatively short time. We see him at the present time liberated from his dark, heavy nightmares rapidly into their embodiment through colour and musical symmetry with the different situations. It indeed counts as a visual and aesthetic view of the drama of life as well as man’s permanent question, away from directness, conventionality and false slogans”. Although he opposed another American war against Iraq, with an uncertain outcome for its people, the end of the Ba’athist regime made it possible to visit his home country after many years of exile. In the autumn of 2003 he visited Iraq for the first time since his long absence in exile. His visit to iraq made a great impression and also influenced his work after. 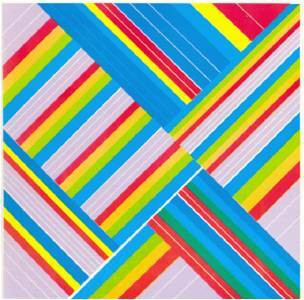 In the last series of paintings he made his use of colours changed dramatically. The explosive use of intense shades of red were replaced for a use of sober browns and greys. 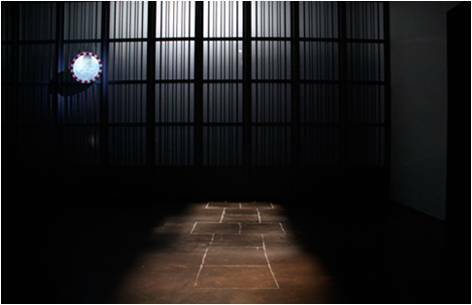 The dynamic compositions were changed in regular constructed forms. 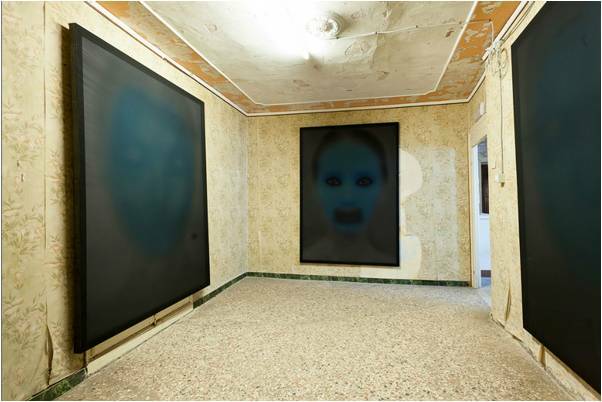 Also these works, from his last series, are represented on this exhibition. Ziad meant a lot for many, as an artist, but also as a human being and a friend. 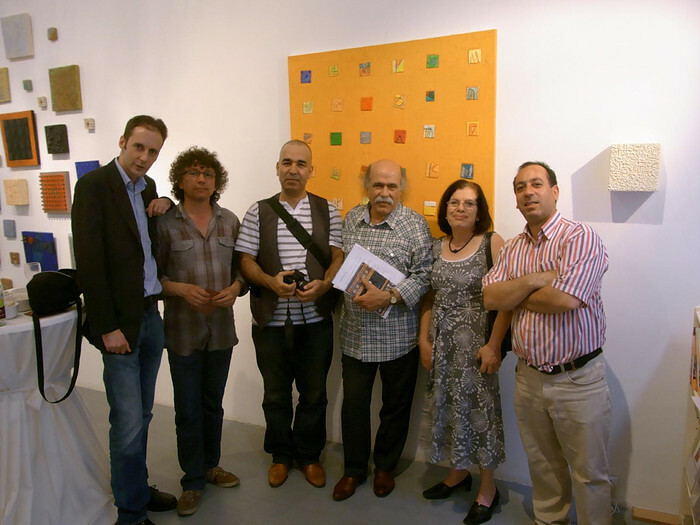 Within the community of exiled Iraqi artists in the Netherlands he played a very important role. In 2004 he initiated the Iraqi cultural manifestation in Amsterdam, with the title “I cross the Arch of Darkness”, a quote from a poem by his friend, the also in the Netherlands living Iraqi poet Salah Hassan ( ﺃﻋﺒﺭﻗﻮﺲ ﻟﻟﻆﻻﻢ ﺃﻮﻤﻰﻋ ﻟﻟﻧﻬﺎﺭ ﺑﻌﻛﺎﺰﻱ , from his collected poems, published under the title “A rebel with a broken compass”, 1997). In this festival visual artists, poets, musicians and actors came together to show the variety and richness of the Iraqi cultual life in exile to a Dutch audience. During the years Ziad and Paula lived at the Rozengracht in the old centre of Amsterdam, there home was a regular meetingpoint of many exiled Iraqi artists, poets, writers, musicians, actors, journalists and intellectuals. Many will cherish their sweet memories of the sometimes notorious gatherings till deep in the night. His sudden death in 2006 was a great loss for many of us. The works of Ziad are still here and they deserve to be exhibited (now his second exhibition after he passed away). 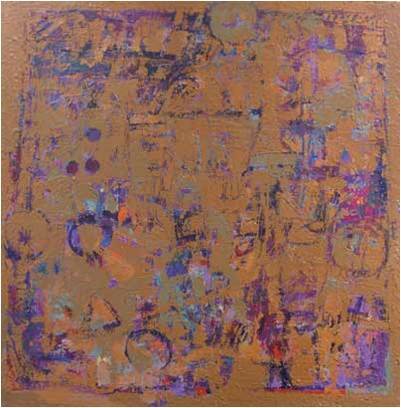 With this exhibition we celebrate Ziad Haider what he meant as an artist and as a human being. 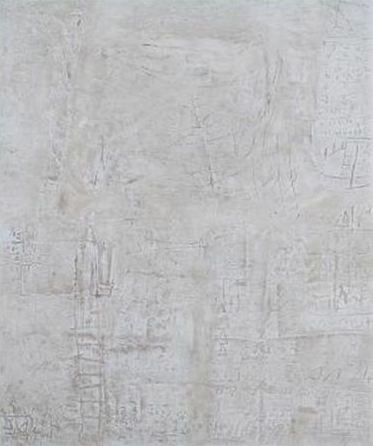 Het abstracte werk van Ziad Haider (al-Amara, Irak, 1954-Amsterdam 2006) kan worden gezien als een diep doorleefde reflectie op zijn roerige levensgeschiedenis, zij het altijd in gesublimeerde vorm. Afkomstig uit Irak en, na een periode van oorlog en gevangenschap, uitgeweken naar Nederland, heeft hij, in de jaren dat hij werkzaam in Nederlandse ballingschap was, een groot aantal indrukwekkende werken nagelaten. 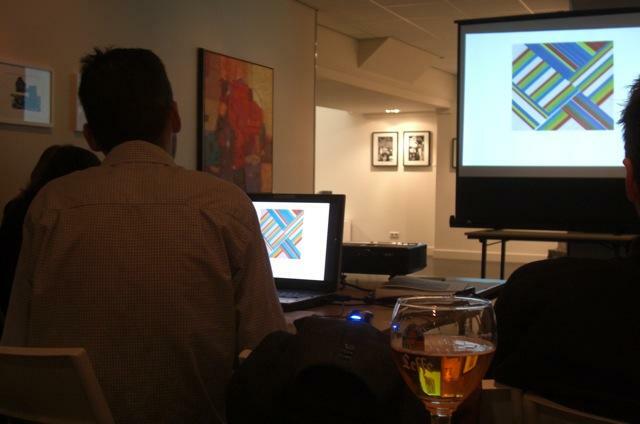 Ziad Haider studeerde begin jaren zeventig aan de kunstacademie in Bagdad. In de twee decennia daarvoor was er in Irak een bloeiende modernistische kunstscene ontstaan. Vanaf de jaren vijftig tot in de jaren zeventig was Irak een van de meest toonaangevende landen op het gebied van moderne kunst en cultuur in de Arabische wereld. Iraakse kunstenaars als Jewad Selim, Shakir Hassan al-Said en Mahmud Sabri creëerden hun eigen versie van het internationale modernisme. Hoewel deze kunstenaars elders (vooral in Europa) waren opgeleid, trachtten zij, teruggekeerd naar hun geboorteland, een moderne kunstscene op te zetten, die zowel geworteld was in de lokale traditie, als aansloot bij de internationale ontwikkelingen. Zij creëerden hiermee een stevige basis voor een heel eigen Iraakse moderne kunsttraditie, hoezeer deze ook onder druk kwam te staan in de daaropvolgende decennia, vol met onderdrukking, oorlog en bezetting, waardoor vele Iraakse kunstenaars noodgedwongen hun werk in ballingschap moesten voortzetten. In de tijd dat Ziad Haider studeerde kwam net het kantelpunt. Kunstenaars die lid van de regerende Ba’thpartij waren, konden, wanneer zij ook bereid waren om bij gelegenheid mee te werken met de verheerlijking van het regime en de officiële propaganda, soms een glanzende carrière tegemoetzien, tot en met de mogelijkheid tot exposeren in het buitenland. Ziad Haider, die geen lid van de Ba’thpartij was, werd na zijn studietijd meteen het leger ingestuurd. Kort daarna, begin 1980, stortte het Iraakse regime zich in de oorlog met Iran. Vele jonge Iraki’s werden de oorlog ingestuurd om aan het front als soldaat te dienen en ook Ziad Haider trof dit lot. De Irak/Iran oorlog was een vernietigende loopgravenoorlog, waarin uiteindelijk een miljoen Iraki’s (en een miljoen Iraniërs) de dood vonden. De jaren van oorlog betekenden een lange onderbreking van Ziads loopbaan als kunstenaar. Zijn leven zou nog een veel heviger wending nemen toen hij midden jaren tachtig, gedurende een kort verlof in Bagdad, werd gearresteerd, omdat iemand over hem had geklikt bij de geheime dienst. 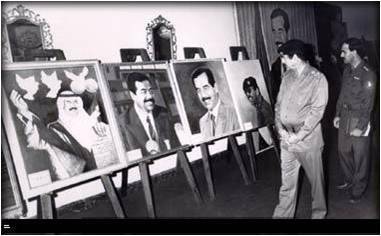 Hij had over een portret van Saddam geplast. Voor bijna vijf jaar verbleef Ziad Haider in de beruchte Abu Ghraib gevangenis, de donkerste periode van zijn leven (1986-1990). Nadat hij was vrijgelaten werd hij weer terug het leger ingestuurd dat net Koeweit was binnengevallen. Ook de Golfoorlog van 1991 maakte hij volledig mee. Na de volksopstand tegen het regime van 1991 ontvluchtte hij Irak. Voor vijf jaar verbleef hij achtereenvolgens in Syrië en Jordanië, totdat hij in 1997 als vluchteling aan Nederland werd toegewezen. Met een paar schilderijen en een serie tekeningen, kwam hij aan in ons land, waar hij terecht kwam in Amersfoort. Na Amersfoort woonde hij voor korte tijd in Almere en vervolgens in Amsterdam. Net als voor veel van zijn lotgenoten, was het in eerste instantie niet makkelijk om zich hier als kunstenaar te vestigen. Naast dat hij doorwerkte aan zijn persoonlijke stijl, werkte hij ook veel als portrettist en tekende hij portretten van passanten op het Leidse Plein en het Rembrandtplein. Later gaf hij, samen met Paula Vermeulen, die hij in die tijd ontmoette, ook verschillende teken- en schildercursussen in hun gemeenschappelijke atelier. Ziad Haider was in deze periode zeer productief, werkte met verschillende technieken in verschillende stijlen. Juist het werken met zijn cursisten of het tekenen van portretten op straat waren voor hem een belangrijke bron levenslust, zoals hij dat een keer verklaarde voor de IKON televisie, in een documentaire uit 2003: “Een manier om de terugkerende nachtmerries te verdrijven” (Factor, Ikon, 17-6-2003, zie hier). In zijn abstracte werk ging Ziad Haider juist de confrontatie aan met de heftige gebeurtenissen uit zijn leven van de jaren daarvoor. In deze werken duiken ook een paar herkenbare elementen op, die regelmatig terugkeren in verschillende werken. Een motief dat op verschillende manieren terugkeert, is de weergave van zijn voeten. Dit gegeven refereert aan verschillende gebeurtenissen in zijn leven. Als soldaat moest Ziad Haider vaak lange marsen afleggen. Toen hij uit de gevangenis werd vrijgelaten was hij de enige van zijn medegevangenen die nog amper in staat was om op zijn voeten te staan. En natuurlijk hebben zijn voeten hem verder gedragen, op zijn lange reis in ballingschap, totdat hij uiteindelijk een veilige plaats vond. Het motief van de voeten is niet het enige herkenbare gegeven in Ziads werken. Vaak zijn er min of meer antropomorfe elementen te ontdekken. Deze lijken vaak versmolten met vormen die doen denken aan gloeiend metaal. Het thema mens en machine speelt in het werk van Ziad een belangrijke rol. Ook dit thema hangt vanzelfsprekend nauw samen met zijn eigen geschiedenis van oorlog en gevangenschap. Voelbaar is in sommige werken ook de claustrofobische ruimte, die refereert aan zijn verblijf in de loopgraven, de tank en daarna de cel, al zijn deze ervaringen altijd door een transformatieproces gegaan, waardoor ze zijn te vervatten in kunst. En deze kunst heeft, ondanks de strijd, vaak een buitengewoon lyrisch karakter. 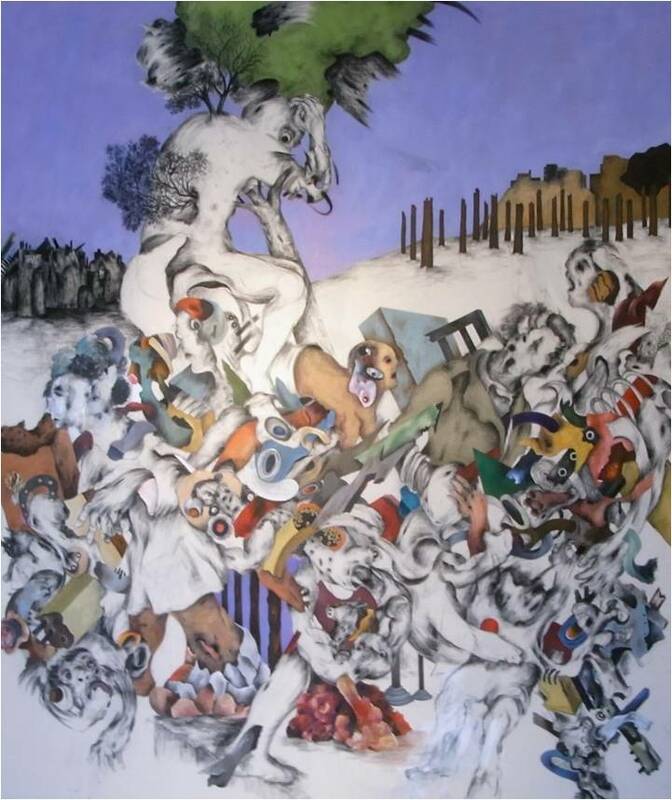 De in Nederland wonende Iraakse journalist, dichter en criticus Karim al-Najar over Ziad Haider: ‘For a very long time the artist, Ziad Haider, has been living in solitude, prison and rebellion. 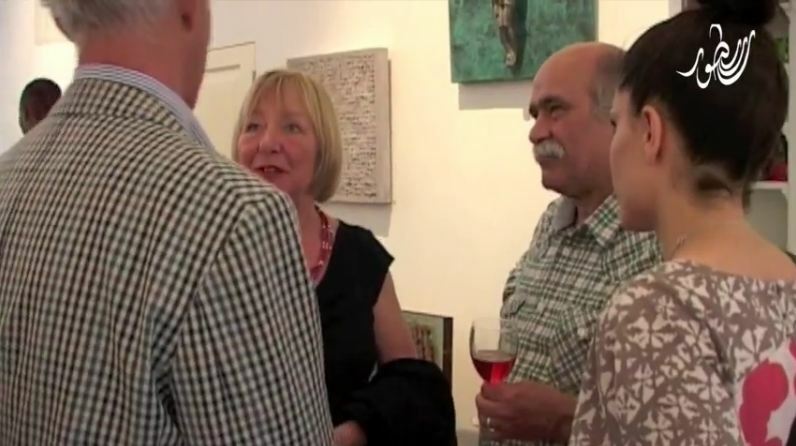 On this basis, the foregoing works constitute his open protest against the decline, triviality and prominence of half-witted personalities as well as their accession of the authority of art and culture in Iraq for more than two decades. Here we could touch the fruits of the artist’s liberty and its reflection on his works. For Ziad Haider has been able to achieve works showing his artistic talent and high professionalism within a relatively short time. We see him at the present time liberated from his dark, heavy nightmares rapidly into their embodiment through colour and musical symmetry with the different situations. It indeed counts as a visual and aesthetic view of the drama of life as well as man’s permanent question, away from directness, conventionality and false slogans’. Hoe zeer hij ook zijn bedenkingen had bij de Amerikaanse invasie van Irak in 2003, het betekende voor Ziad wel een mogelijkheid om weer zijn geboorteland te bezoeken. In de herfst van 2003 zette hij deze stap. Zijn bezoek aan Irak maakte grote indruk en had ook zijn weerslag op de laatste serie werken die hij maakte. Allereerst veranderde zijn palet. Het intense rood, dat zijn werken voor die tijd sterk had gedomineerd, werd vervangen door sobere bruinen en grijzen. De heftige bewegingen in zijn composities maakten plaats voor een regelmatiger opbouw. Ook dat werk, uit zijn laatste reeks, is op deze tentoonstelling te zien. Ziad heeft veel betekend als kunstenaar, maar verder was hij ook een belangrijk figuur binnen de Iraakse kunstscene in ballingschap. Zo was hij de initiatiefnemer van het de manifestatie “Ik stap over de Boog van Duisternis; Iraakse kunstenaars in Amsterdam”. Onder deze titel , die verwijst naar een zin uit een gedicht van de dichter en Ziads vriend Salah Hassan, ( “ﺃﻋﺒﺭﻗﻮﺲ ﻟﻟﻆﻻﻢ ﺃﻮﻤﻰﻋ ﻟﻟﻧﻬﺎﺭ ﺑﻌﻛﺎﺰﻱ ” , uit de bundel Een rebel met een kapot kompas, 1997), werd er in 2004 een Iraaks cultureel festival in Amsterdam georganiseerd, waarin verschillende uit Irak afkomstige beeldende kunstenaars, dichters, musici en acteurs centraal stonden. Gedurende de jaren dat Ziad en Paula samen aan de Rozengracht woonden, was hun huis een trefpunt van vele Iraakse beeldende kunstenaars, maar ook dichters, schrijvers, musici, acteurs en journalisten. Velen zullen dierbare herinneringen koesteren aan deze roemruchte avonden. Het plotselinge overlijden van Ziad Haider in 2006 kwam dan ook als een grote klap. Zijn werk is er gelukkig nog en verdient het om getoond te worden. Met deze tentoonstelling vieren wij wat hij als kunstenaar en als mens heeft betekend. Qassim Alsaedy werd in 1949 geboren in Bagdad. Zijn familie kwam oorspronkelijk uit de zuidelijke stad al-Amara, maar was, zoals zo velen in die tijd, naar de hoofdstad vetrokken. Het gezin had zich gevestigd in een huis vlak naast de Jumhuriyya Brug over de Tigris, niet ver van het Plein van de Onafhankelijkheid. Voor Alsaedy’s keuze voor het kunstenaarschap was dit gegeven zeker van belang. 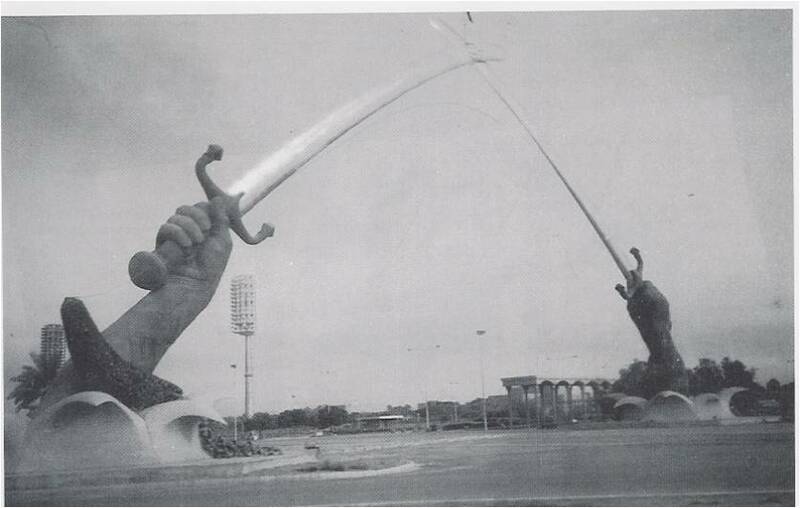 Na de revolutie van 1958, toen de door de Britten gesteunde monarchie van de troon werd gestoten, werd er op dit plein een begin gemaakt aan de bouw het beroemde vrijheidsmonument (Nasb al-Huriyya) van Iraks bekendste beeldhouwer Jewad Selim, die tegenwoordig veelal wordt gezien als de belangrijkste grondlegger van de modernistische kunst van Irak. Dit werk, dat in 1962 na de dood van Selim voltooid werd, maakte een grote indruk op Alsaedy. Het vrijheidsmonument van Jewad Selim deed Alsaedy voor het eerst beseffen dat kunst niet alleen mooi hoeft te zijn, maar ook werkelijk iets te betekenen kan hebben. Ook een expositie van de beroemde Iraakse kunstenaar Shakir Hassan al-Said in het Kolbankian Museum in Bagdad in 1962, maakte grote indruk. Alsaedy besloot om zelf kunstenaar te worden. 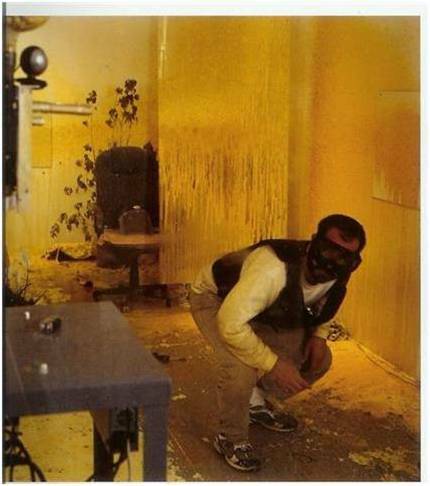 In 1969 deed hij zijn toelatingsexamen aan de kunstacademie van Bagdad, bij Shakir Hassan al-Said, die uiteindelijk een van zijn belangrijkste docenten zou worden in de tweede fase van zijn opleiding. In de tijd dat Alsaedy zich inschreef aan de kunstacademie had Irak een roerige periode achter de rug en waren de vooruitzichten bijzonder grimmig. In 1963 had een kleine maar fanatieke nationalistische en autoritaire groepering, de Ba’thpartij, kortstondig de macht gegrepen. In de paar maanden dat deze partij aan de macht was, richtte zij een ware slachting aan onder alle mogelijke opponenten. Omdat de Ba’thi’s zo te keer gingen had het leger nog in datzelfde jaar ingegrepen en de Ba’thpartij weer uit de macht gezet. Tot 1968 werd Irak bestuurd door het autoritaire en militaire bewind van de gebroeders Arif, dat wel voor enige stabiliteit zorgde en geleidelijk steeds meer vrijheden toestond. In 1968 wist de Ba’thpartij echter weer de macht te grijpen, deze keer met meer succes. Het bewind zou aan de macht blijven tot 2003, toen een Amerikaanse invasiemacht Saddam Husayn (president vanaf 1979) van de troon stootte. Toch opereerde de Ba’thpartij aan het begin van de jaren zeventig voorzichtiger dan in 1963 en dan zij later in de jaren zeventig zou doen. In eerste instantie werd het kunstonderwijs met rust gelaten, hoewel daar, precies in de periode dat Alsaedy studeerde, daar geleidelijk aan verandering in kwam. Zover was het nog niet in 1969. Vanaf de jaren veertig was er in Irak een bloeiende avant-garde beweging ontstaan, vooral geïnitieerd door Jewad Selim en de Bagdadgroep voor Eigentijdse Kunst. Naast de groep rond Jewad Selim was er ook Faiq Hassan (Alsaedy’s belangrijkste docent in zijn eerste jaar) en Mahmud Sabri, wiens radicale avant-gardistische opvattingen zo slecht in de smaak vielen bij de Ba’thpartij, dat hij bijna uit de geschiedschrijving van de Iraakse moderne kunst is verdwenen. Toch waren juist de ideeën van Sabri, die al in de vroege jaren zeventig in ballingschap ging en zich uiteindelijk in Praag vestigde, van groot belang voor Alsaedy’s visie op zijn kunstenaarschap. Van Sabri, die een geheel nieuw artistiek concept had ontwikkeld, het zogenaamde Quantum Realisme,leerde Alsaedy dat de kunstenaar de kunstenaar vooral een verschil kan maken door geheel vrij en onafhankelijk te zijn van welke stroming, ideologie of gedachtegoed dan ook, iets wat hij in zijn verdere loopbaan altijd zou proberen na te streven. Een andere belangrijke docent van Alsaedy was Shakir Hassan al-Said, een van de beroemdste kunstenaars van Irak en zelfs van de Arabische wereld. Al-Said bracht Alsaedy ook in contact met Jabra Ibrahim Jabra, de beroemde schrijver en kunstcriticus van Palestijnse afkomst, in die dagen een van de belangrijkste figuren binnen de Iraakse kunstscene. Maar verder was de invloed van Shakir Hassan van groot belang op Alsaedy’s artistieke vorming. 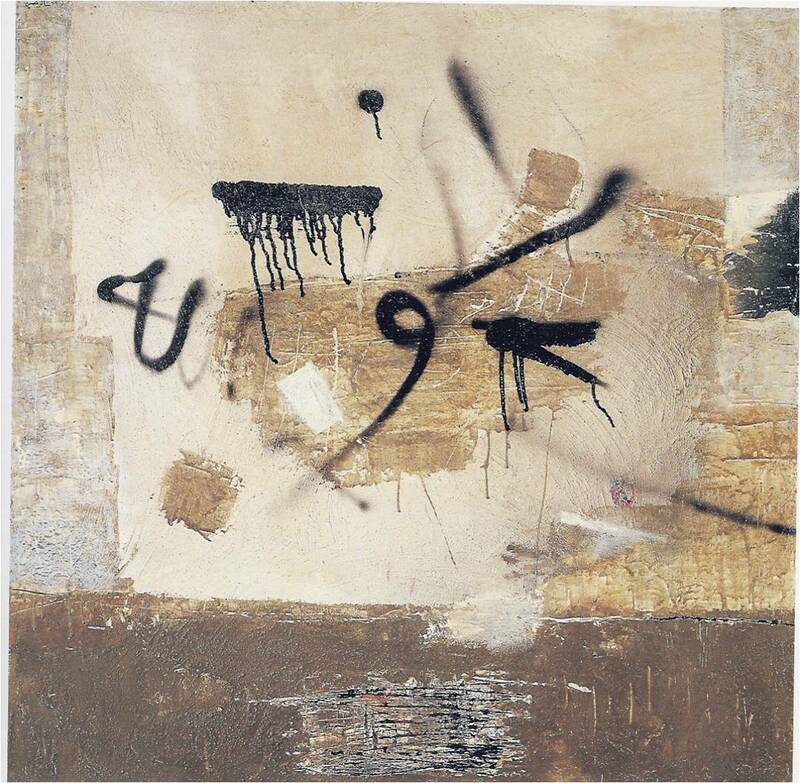 Na een expressionistische periode had Shakir Hassan al Said een zeer persoonlijke abstracte beeldtaal ontwikkeld, waarbij het Arabische alfabet als basis diende. Ook had al-Said een uitgebreide theorie ontwikkeld, die hij voor zijn werk als uitgangspunt nam. Hijzelf en een aantal geestverwanten vormden de zogenaamde One Dimension Group. Hoewel er misschien iets van een oppervlakkige verwantschap is tussen het werk van Shakir Hassan al-Said en dat van Alsaedy – ook al-Said liet zich vaak inspireren door opschriften op muren en ook veel van zijn werken hebben titels als Writings on a Wall – zijn er ook wezenlijke verschillen. Al-Said en zijn geestverwanten putten vooral inspiratie uit de abstracte islamitische traditie, waarbij zij vooral het Arabisch schrift als uitgangspunt namen. De bronnen van Alsaedy hebben veelal een andere oorsprong, die niet in de laatste plaats samenhangen met een van de meest indringende ervaringen van leven. Halverwege Alsaedy’s tijd aan de academie werd de controle van de Ba’thpartij, die nog maar net aan de macht was, steeds sterker. Het regime begon zich ook met het kunstonderwijs te bemoeien. Op een geven moment werd Alsaedy, samen met een paar anderen, uitgenodigd door een paar functionarissen van het regime. 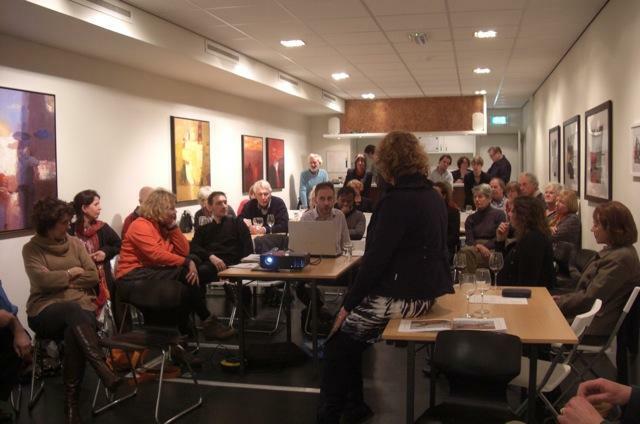 In 2000 beschreef Alsaedy deze bijeenkomst als volgt: ‘We were invited for a meeting to drink some tea and to talk. They told us they liked to exhibit our works, in a good museum, with a good catalogue and they promised all these works would be sold, for the prize we asked. It seemed that the heaven was open for us. But then they came with their conditions. We had to work according the official ideology and they should give us specific titles. We refused their offer, because we were artists who were faithful towards our own responsibility: making good and honest art. When we agreed we would sold ourselves. 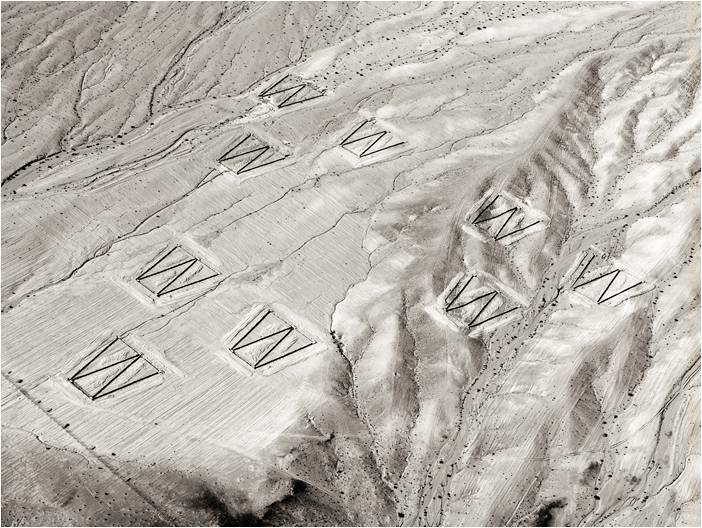 (..) Later they found some very cheap artists who were willing to sell themselves to the regime and they joined them. All their paintings had been sold and the prizes were high. One of them, I knew him very well, he bought a new villa and a new car. And in this way they took all the works of these bad artists, and showed them and said: “Well, this is from the party and these are the artists of Iraq”. The others were put in the margins of the cultural life’ (uit mijn Interview met Qassim Alsaedy, 8-8-2000). Alsaedy benadrukt dat bijna zijn hele generatie ‘nee’ heeft gezegd tegen het regime, waarvoor velen een hoge prijs hebben moeten betalen. Alsaedy spreekt dan ook van ‘the lost generation’, waarmee hij specifiek de lichting kunstenaars van de jaren zeventig bedoelt. De kunstenaars van voor die tijd hadden al een carrière voordat het regime zich met de kunsten ging bemoeien en de latere generatie had te maken met kunstinstituties die al geheel waren geïncorporeerd in het staatsapparaat. De problemen waarmee die kunstenaars te maken kregen waren natuurlijk minstens net zo groot, maar van een andere aard, dan de lichting kunstenaars die gevormd werd gedurende de periode van transitie. De generatie van de jaren zeventig zag en ervoer hoe de kunstscene langzaam werd ‘geba’thificeerd’. Ook was Alsaedy lid van een verboden studentenbond. Dit alles leidde uiteindelijk tot zijn arrestatie. Op een gegeven moment werd Alsaedy midden op de dag opgepakt en afgevoerd naar de meest beruchte gevangenis van Irak van dat moment, al-Qasr al-Nihayyah, ‘het Paleis van het Einde’. Dit was het voormalige Koninklijke Paleis dat in de jaren zeventig door het regime als gevangenis was ingericht, totdat in de jaren tachtig de inmiddels algemeen bekende en beruchte Abu Ghraib open ging. Voor negen maanden ging Alsaedy door de meest intensieve periode van zijn leven. Martelingen en de permanente dreiging van executie waren aan de orde van de dag. Gedurende de negen maanden dat hij zich hier bevond werd Alsaedy teruggeworpen tot zijn meest elementaire bestaan. Zijn omgeving was gereduceerd tot de gevangenismuren. Daar kwam Alsaedy tot een belangrijk inzicht. Hij ontdekte dat de velen die voor hem zich in deze ruimte hadden bevonden kleine sporen van hun bestaan hadden achtergelaten. Op de muren waren ingekraste tekeningen of opschriften zichtbaar, meestal nog maar vaag zichtbaar. Alsaedy kwam tot het besef dat deze tekeningen van de gevangenen de laatste strohalm betekenden om mens te blijven. Zelfs in de donkerste omstandigheden trachtten mensen op de been te blijven door zich te uiten in primitief gemaakte tekeningen of om hun getuigenissen op de muren te krassen. Dit inzicht zou allesbepalend zijn voor Alsaedy’s verdere kunstenaarschap. Het thema ‘krassen of tekens op muren’, de rode draad in zijn hele oeuvre, vond hier zijn oorsprong. Na deze negen maanden werd Alsaedy, middels een onverwachte amnestieafkondiging, samen met een groep andere gevangenen weer vrijgelaten. Een succesvol bestaan als kunstenaar via de gevestigde kanalen in Irak zat er voor hem niet meer in. Alsaedy werd definitief als verdacht bestempeld en was bij het regime uit de gratie geraakt. Hij besloot zijn heil elders te zoeken en week in 1979 uit naar Libanon. 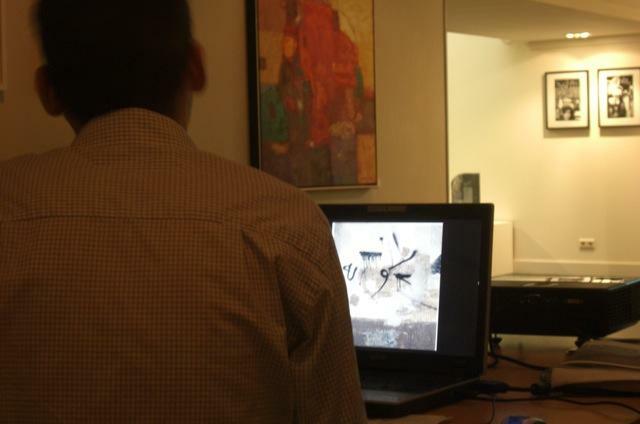 Daar participeerde hij samen met andere uitgeweken Iraakse kunstenaars aan een tentoonstelling die mede een aanklacht was tegen het regime van de Ba’thpartij in Irak. De onrustige situatie in het Midden Oosten maakte dat Qassim Alsaedy als Iraakse balling altijd op de vlucht moest, om te proberen elders een (tijdelijk) veilig heenkomen te zoeken. Door de burgeroorlog was Libanon een allerminst veilige plek en bovendien voltrokken zich ook nieuwe ontwikkelingen in Irak. Saddam Husayn was inmiddels president geworden en had alle oppositie, zelfs binnen zijn eigen partij, geëlimineerd. Vervolgens had hij zijn land in een bloedige oorlog met Iran gestort. Hoewel de Ba’thpartij met straffe hand het land controleerde, was er in het Koerdische noorden een soort schemergebied ontstaan, waar veel Iraakse oppositiekrachten naar waren uitgeweken. Door de chaotische frontlinies van de oorlog en doordat de Koerden, beter dan welke andere groepering in Irak, zich hadden georganiseerd in verzetsgroepen, was dit een gebied een soort vrijhaven geworden. Alsaedy kwam in 1982 terecht in de buurt van Dohuk, in westelijk Koerdistan en sloot zich, samen met andere Iraakse ‘politiek ontheemden’, aan bij de Peshmerga, de Koerdische verzetsstrijders. Naast dat hij zich bij het verzet had aangesloten was hij ook actief als kunstenaar. Naar aanleiding van deze ervaringen maakte hij later een serie werken, die bedekt zijn met een zwarte laag, maar waarvan de onderliggende gekleurde lagen sporadisch zichtbaar zijn door de diepe krassen die hij in zijn schilderijen had aangebracht. Alsaedy over deze werken (zie bovenstaande afbeelding): ‘In Kurdistan I joined the movement which was against the regime. I worked there also as an artist. I exhibited there and made an exhibition in a tent for all these people in the villages, but anyhow, the most striking was the Iraqi regime used a very special policy against Kurdistan, against this area and also against other places in Iraq. They burned and sacrificed the fields by enormous bombings. So you see, and I saw it by myself, huge fields became totally black. The houses, trees, grass, everything was black. But look, when you see the burned grass, late in the season, you could see some little green points, because the life and the beauty is stronger than the evil. The life was coming through. So you saw black, but there was some green coming up. 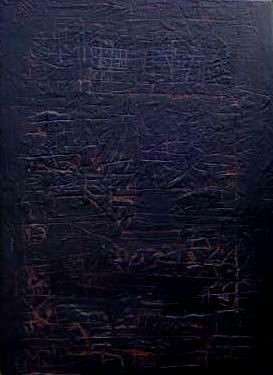 For example I show you this painting which is extremely black, but it is to deep in my heart. Maybe you can see it hardly but when you look very sensitive you see some little traces of life. You see the life is still there. It shines through the blackness. The life is coming back’ (geciteerd uit mijn interview met Alsaedy uit 2000). Gedurende bijna de hele oorlog met Iran verbleef Alsaedy in Koerdistan. Aan het eind van de oorlog, in 1988, lanceerde het Iraakse regime de operatie al-Anfal, de grootschalige zuivering van het Koerdische platteland en de bombardementen met chemische wapens op diverse Koerdische steden en dorpen, waarvan die op Halabja het meest berucht is geworden. Voor Alsaedy was het in Irak definitief te gevaarlijk geworden en moest hij zijn heil elders zoeken. Het werd uiteindelijk Libië. Alsaedy: ‘I moved to Libya because I had no any choice to go to some other place in the world. I couldn’t go for any other place, because I couldn’t have a visa. It was the only country in the world I could go. Maybe it was a sort of destiny. I lived there for seven years. After two years the Kuwait war broke out in Iraq followed by the embargo and all the punishments. In this time it was impossible for a citizen of Iraq to have a visa for any country in the world’ (uit interview met Qassim Alsaedy, 2000). Hoe vreemd het in de context van nu ook mag klinken, gedurende die tijd leefde Muammar al-Qadhafi in onmin met zo’n beetje alle Arabische leiders, inclusief Saddam Husayn. Het was precies op dat moment in de grillige loopbaan van de Libische dictator, dat hij zijn deuren opende voor alle mogelijke dissidenten van diverse pluimage uit de hele Arabische wereld. Ook Alsaedy kon daar zijn heenkomen zoeken en hij kreeg bovendien een betrekking als docent aan de kunstacademie van Tripoli. In Libië voerde hij ook een groot muurschilderingenproject uit. Tegen zijn eigen verwachting in kreeg hij toestemming voor zijn plannen. 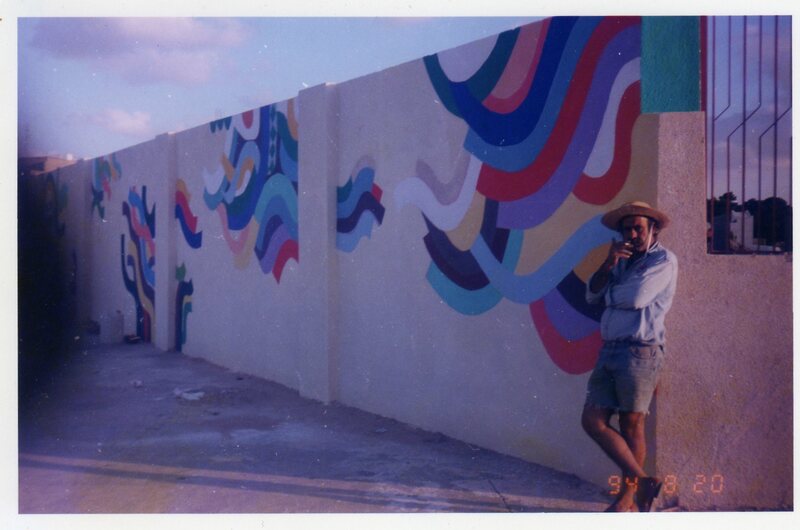 Alsaedy: ‘I worked as a teacher on the academy of Tripoli, but the most interesting thing I did there was making many huge wallpaintings. 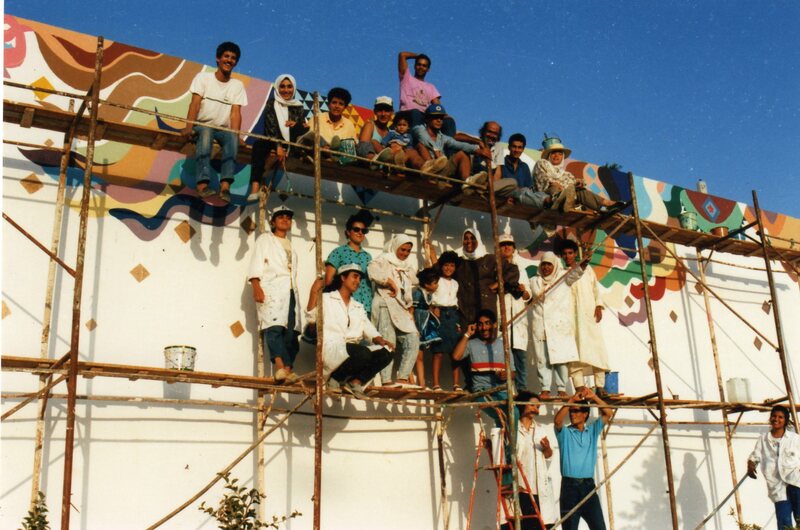 The impossible happened when the city counsel of Tripoli supported me to execute this project. I had always the dream how to make the city as beautiful as possible. I was thinking about Bagdad when I made it. My old dream was to do something like that in Bagdad, but it was always impossible to do that, because of the regime. I believe all the people in the world have the right on freedom, on water, on sun, on air, but also the right on beauty. They have the right on beauty in the world, or in their lives. So one of my aims was to make wallpaintings and I worked hard on it. They were abstract paintings, but I tried to give them something of the atmosphere of the city. It is an Arabic, Islamic city with Italian elements. I tried to make something new when I studied the Islamic architecture. I worked on them with my students and so something very unusual happened, especially for the girls, because in our society it is not very usual to see the girls painting on the street. It was a kind of a shock, but in a nice way. It brought something positive’ (interview met Qassim Alsaedy, 2000). Toch was ook Libië een politiestaat en zat het gevaar in een klein hoekje. De functionaris van het Libische regime, onder wiens verantwoordelijkheid Alsaedy’s project viel, vond een oranjekleurige zon in een van Alsaedy’s muurschilderingen verdacht. Volgens hem was deze zon eigenlijk rood en zou het gaan om verkapte communistische propaganda (zie bovenstaande afbeeldingen, rechtsonder). Alsaedy werd te kennen gegeven dat hij de zon groen moest schilderen, de kleur van de ‘officiële ideologie’ van het Qadhafi-bewind (zie het beruchte en inmiddels ook hier bekende ‘Groene Boekje’). Alsaedy weigerde dit en werd meteen ontslagen. Zijn ontslag betekende ook dat Alsaedy’s verblijf in Libië een riskante aangelegenheid was geworden. Hij exposeerde nog wel in het Franse Culturele Instituut, maar had alle reden om zich niet meer veilig te voelen. Hij besloot dat het beter was om met zijn gezin zo snel mogelijk naar Europa te verdwijnen. Uiteindelijk kwam hij in 1994 aan in Nederland. Vanaf eind jaren negentig, toen Alsaedy na een turbulent leven met vele omzwervingen ook de rust had gevonden om aan zijn oeuvre te bouwen, begon hij langzaam maar zeker zichtbaar te worden in de Nederlandse kunstcircuits. Zijn eerste tentoonstellingen waren vaak samen met zijn ook uit Irak afkomstige vriend Ziad Haider (zie deze eerdere expositie). 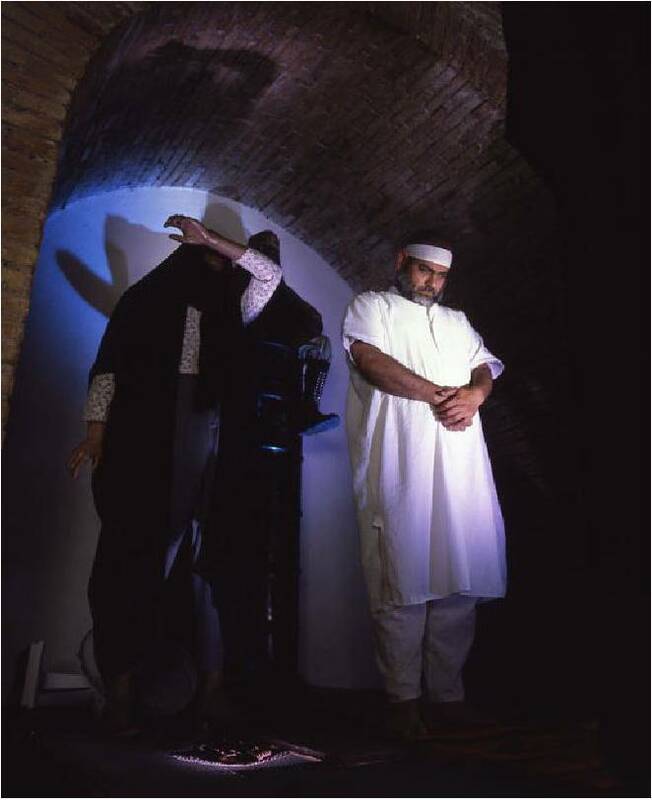 Met een viertal andere uit Irak afkomstige kunstenaars (waaronder ook Hoshyar Rasheed, zie deze eerdere expositie) exposeerde hij in 1999 in Museum Rijswijk, zijn eerste museale tentoonstelling in Nederland. In die periode werd de centrale thematiek van Alsaedy’s werk steeds meer zichtbaar. Voor Qassim Alsaedy staan de sporen die de mens in de loop der geschiedenis achterlaat centraal, van de vroegste oudheid (bijvoorbeeld Mesopotamië) tot het recente verleden (zie zijn ervaring in de gevangenis, of de zwarte laag in zijn ‘Koerdische landschappen’). In 2000 formuleerde hij zijn centrale concept als volgt: ‘When I lived in Baghdad I travelled very often to Babylon or other places, which were not to far from Baghdad. It is interesting to see how people reuse the elements of the ancient civilizations. For example, my mother had an amulet of cylinder formed limestones. She wore this amulet her whole lifetime, especially using it when she had, for example a headache. Later I asked her: “Let me see, what kind of stones are these?” Then I discovered something amazing. These cylinder stones, rolling them on the clay, left some traces like the ancient writings on the clay tablets. There was some text and there were some drawings. It suddenly looked very familiar. I asked her: “what is this, how did you get these stones?” She told me that she got it from her mother, who got it from her mother, etc. So you see, there is a strong connection with the human past, not only in the museum, but even in your own house. When you visit Babylon you find the same traces of these stones. So history didn’t end. In my home country it is sometimes very windy. When the wind blows the air is filled with dust. Sometimes it can be very dusty you can see nothing. Factually this is the dust of Babylon, Ninive, Assur, the first civilizations. This is the dust you breath, you have it on your body, your clothes, it is in your memory, blood, it is everywhere, because the Iraqi civilizations had been made of clay. We are a country of rivers, not of stones. The dust you breath it belongs to something. It belongs to houses, to people or to some clay tablets. I feel it in this way; the ancient civilizations didn’t end. The clay is an important condition of making life. It is used by people and then it becomes dust, which falls in the water, to change again in thick clay. There is a permanent circle of water, clay, dust, etc. It is how life is going on and on. I have these elements in me. I use them not because I am homesick, or to cry for my beloved country. No it is more than this. I feel the place and I feel the meaning of the place. I feel the voices and the spirits in those dust, clay, walls and air. In this atmosphere I can find a lot of elements which I can reuse or recycle. You can find these things in my work; some letters, some shadows, some voices or some traces of people. On every wall you can find traces. 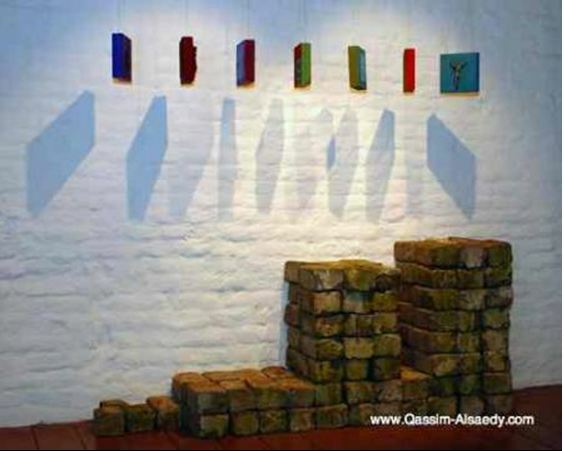 The wall is always a sign of human life’ (interview met Qassim Alsaedy, 2000). Een opvallend element in Alsaedy’s werk is het gebruik van spijkers. Ook op deze tentoonstelling zijn daar een aantal voorbeelden van te zien. Over een ander werk, een assemblage van spijkers in een verschillende staat van verroesting zei Alsaedy (voor een documentaire van de Ikon uit 2003) het volgende: ‘Dit heb ik gemaakt om iets over de pijn te vertellen. Wanneer de spijkers wegroesten zullen zij uiteindelijk verdwijnen. Er blijven dan alleen nog maar een paar gaatjes over. En een paar kruisjes’ (uit Beeldenstorm, ‘Factor’, Ikon, 17 juni 2003). Een zelfde soort element zijn de patroonhulzen, die vaak terugkeren in Alsaedy’s werk, ook op deze tentoonstelling. Ook deze zullen uiteindelijk vergaan en slechts een litteken achterlaten. In een eerder verband heb ik Alsaedy’s werk weleens vergeleken met dat van Armando (bijv. in ISIM Newsletter 13, december 2003). Beiden raken dezelfde thematiek. Toch zijn er ook belangrijke verschillen. In zijn ‘Schuldige Landschappen’ geeft Armando uitdrukking aan het idee dat er op een plaats waar zich een dramatische gebeurtenis heeft afgespeeld (Armando verwijst vaak naar de concentratiekampen van de Nazi’s) er altijd iets zal blijven hangen, al zijn alle sporen uitgewist. Alsaedy gaat van hetzelfde uit, maar legt toch een ander accent. In zijn zwarte werken en met zijn gebruik van spijkers en patroonhulzen benadrukt Alsaedy juist dat de tijd uiteindelijk alle wonden heelt, al zal er wel een spoor achterblijven. Sinds de laatste tien jaar duikt er in het werk van Alsaedy steeds vaker een crucifix op. Ook op deze tentoonstelling is daar een voorbeeld van te zien. Dat is opmerkelijk, omdat de kunstenaar geen Christelijke achtergrond heeft en ook niet Christelijk is. Alsaedy heeft het verhaal van Jezus echter ontdaan van zijn religieuze elementen. Duidelijk bracht hij dit tot uitdrukking in zijn installatie in het Flehite Museum in Amersfoort, getiteld ‘Who said No?’ Los van de religieuze betekenis, is Jezus voor Alsaedy het ultieme voorbeeld van iemand die duidelijk ‘Nee’ heeft gezegd tegen de onderdrukking en daar weliswaar een hoge prijs voor heeft betaald, maar uiteindelijk gewonnen heeft. Op de manier zoals Alsaedy de crucifix heeft verwerkt is het een herkenbaar symbool geworden tegen dictatuur in welke vorm dan ook. 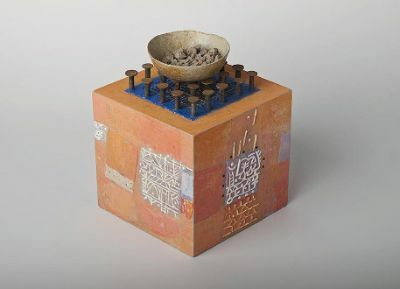 Gedurende de afgelopen tien jaar heeft Alsaedy veel samengewerkt met de ceramiste Brigitte Reuter. Ook op deze tentoonstelling zijn een aantal van hun gezamenlijke werken geëxposeerd. Gezien Alsaedy’s fascinatie voor het materiaal (zie zijn eerdere opmerkingen over de beschavingen uit de oudheid van Irak) was dit een logische keuze. De objecten zijn veelal door Reuter gecreëerd en door Alsaedy van reliëf voorzien, vaak een zelfde soort tekens die hij in zijn schilderijen heeft verwerkt. Door de klei te bakken, weer te bewerken of te glazuren en weer opnieuw te bakken, ontstaat er een zelfde soort gelaagdheid die ook in zijn andere werken is te zien. Een hoogtepunt van hun samenwerking was een installatie in het Rijksmuseum voor Oudheden in Leiden in 2008. In het Egyptische tempeltje van Taffeh, dat daar in de centrale hal staat, legden zij een vloer aan van gebakken en bewerkte stenen. Maar ook eerder, in het Flehite Museum, waren veel van hun gezamenlijke ‘vloeren’ en objecten te zien. Een ander interessant onderdeel van Alsaedy’s oeuvre zijn zijn tekeningenboekjes. 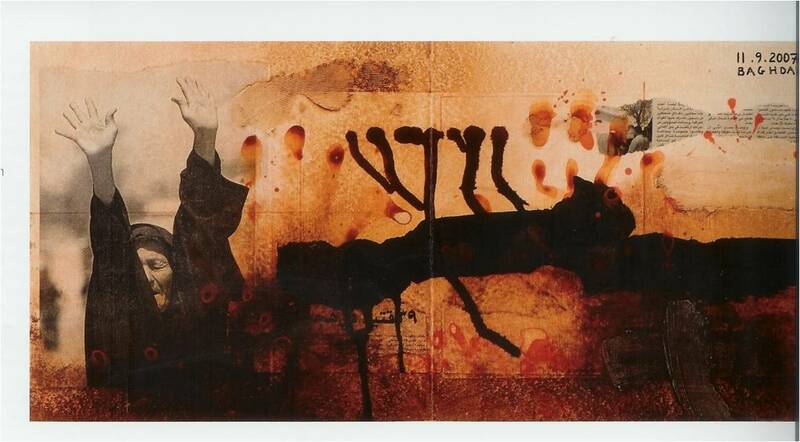 Op deze tentoonstelling is daar een van te bezichtigen, Book of Time, uit 2001. 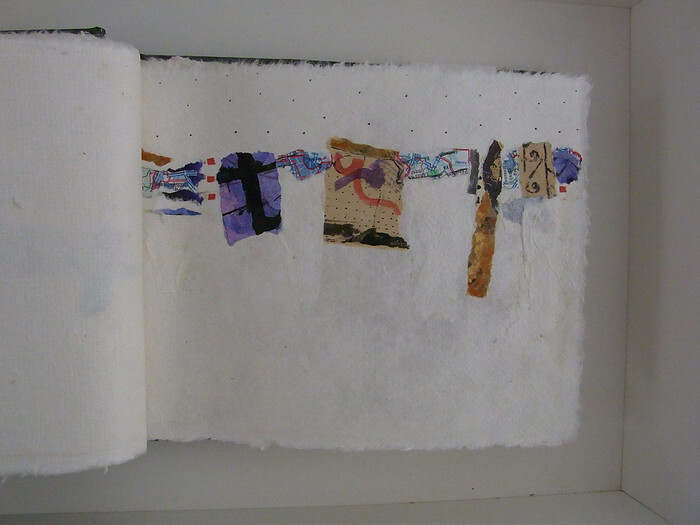 Pagina na pagina heeft hij, als het ware laag over laag, verschillende tekens aangebracht met verschillende technieken (pentekening, inkt, aquarel en collage). Ook hier is zijn kenmerkende ‘tekenschrift’ zeer herkenbaar. dat hij natuurlijk zijn familie en oude vrienden had bezocht, sprak hij ook met een heleboel kunstenaars, dichters, schrijvers, musici, dansers en vele anderen over hoe het Iraakse culturele leven onder het regime van Saddam had geleden. Van de vele uren film die hij maakte, zond de VPRO een korte compilatie uit, in het kunstprogramma RAM, 19-10-2003 (hier te bekijken). In de jaren daarna bleef dit bezoek een belangrijke bron van inspiratie. Alsaedy maakte verschillende installaties en objecten. Vaak zijn in deze werken twee kanten van de medaille vertegenwoordigd, zowel de oorlog en het geweld, maar ook de schoonheid, die eeuwig is en het tijdelijke overwint. Vanaf halverwege de jaren 2000 is Qassim Alsaedy steeds zichtbaarder geworden in zowel Nederlandse als buitenlandse kunstinstellingen. 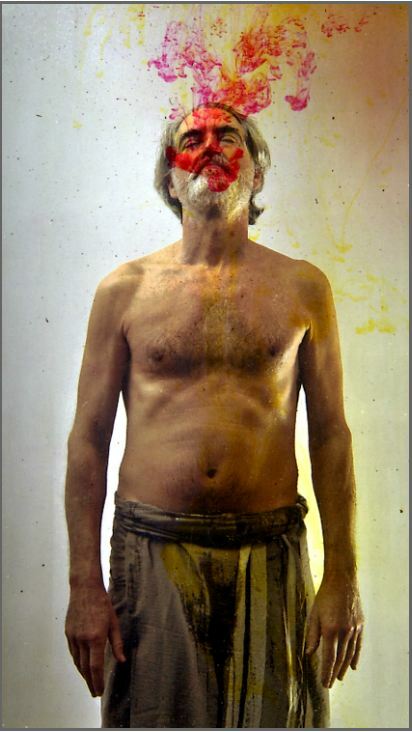 Vanaf 2003 exposeerde hij regelmatig in de gerenommeerde galerie van Frank Welkenhuysen in Utrecht, waar hij tegenwoordig als vaste kunstenaar aan verbonden is. Ook participeerde hij in de Biënnale van Florence in 2003 en exposeerde hij tweemaal in het Rijksmuseum van Oudheden. 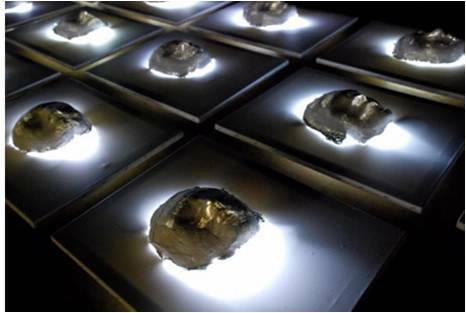 Een belangrijk hoogtepunt was zijn grote solotentoonstelling in het Flehite Museum in Amersfoort in 2006. 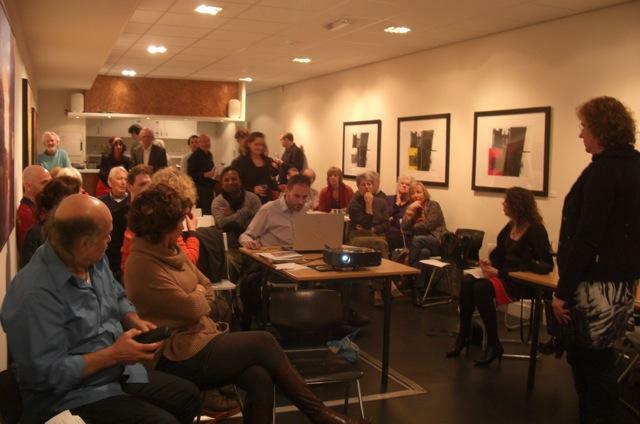 Met enige trots presenteren wij in Diversity & Art zijn project ‘Shortly after the War’. 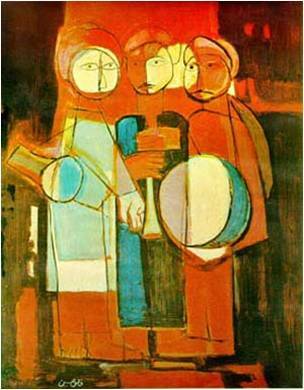 Qassim Alsaedy (Baghdad 1949) studied painting at the Academy of Fine Arts in Baghdad from 1969 to 1973. He was a student of the late Shakir Hassan al-Said, one of the most significant and influential artists of Iraq and even the Arab World. During his time at the academy Alsaedy was arrested and imprisoned for almost a year. Free again in1979, he organized with other Iraqi artists an exhibition in Lebanon, in which they stated against the Iraqi regime. 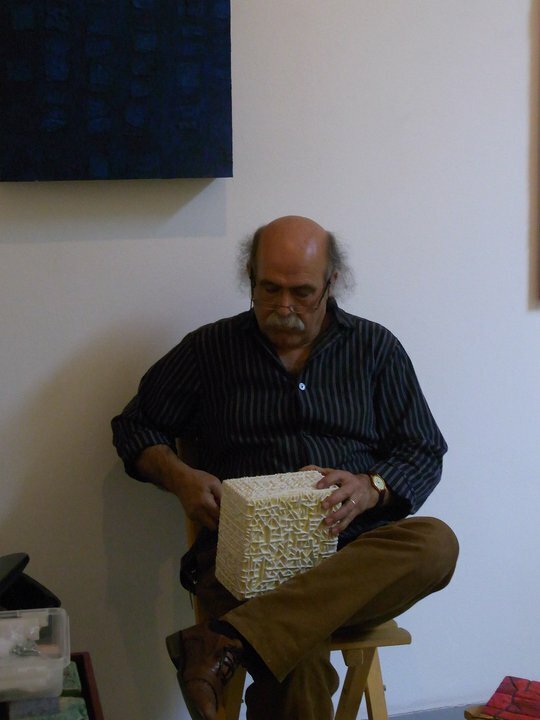 Back in Iraq, he joined the Kurdish rebels in the North, where he also was active as an artists and even exhibited in tents. 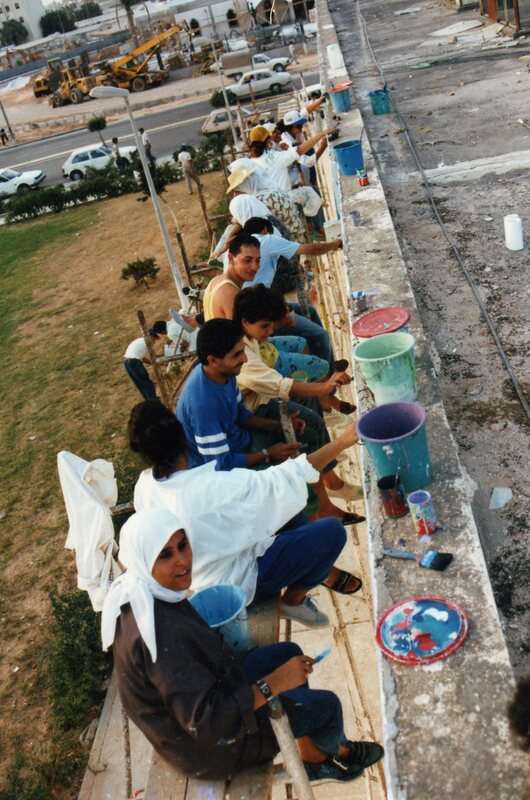 After the Anfal campaign against the Kurds in1988 he withdrew to Libya where he could work in relative freedom and where he became a teacher at the Art Academy of Tripoli until 1994, when he came to the Netherlands . 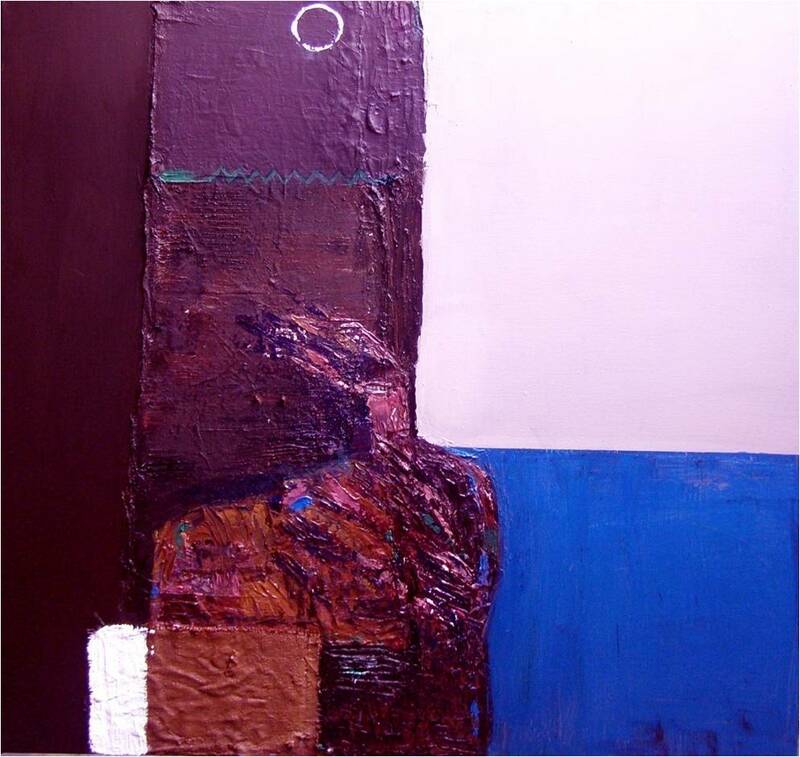 Alsaedy’s work is dominated by two themes, love versus pain and the ongoing cycle of growth and decay, a recycling of material when man leaves his characters and traces as a sign of existence through the course of history.Love is represented by beauty in bright and deep colors. 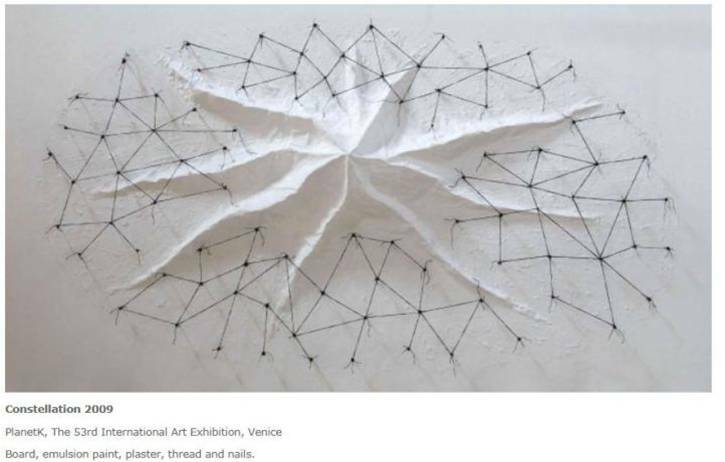 The pain from the scars of war and destruction is visualized by the empty cartridge cases from the battlefield or represented by the rusty nails, an important element in many of his works. “The pain has resolved as the nails are completely rusted away”, states Alsaedy. In his three dimensional work, the duality of pain and beauty is always the main theme. 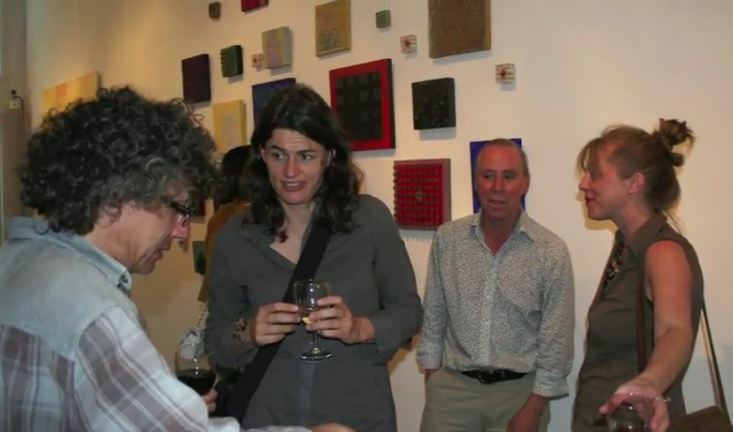 van International Network of Iraqi Artists (iNCIA), Londen: http://www.incia.co.uk/31293.html. 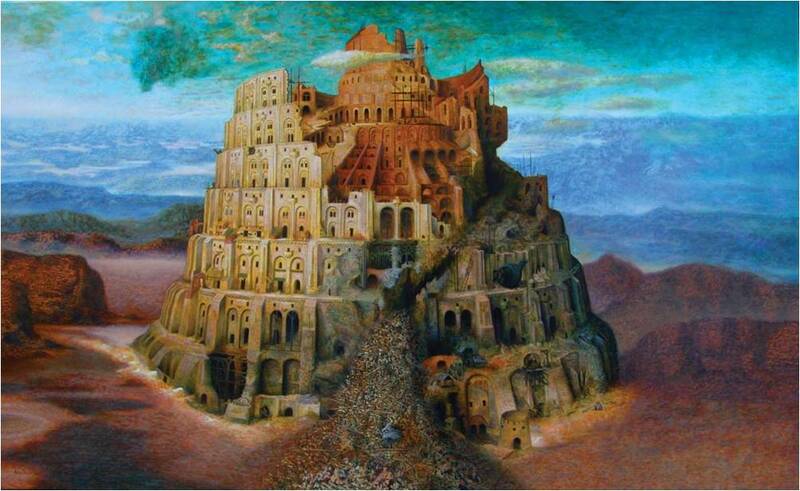 Born Baghdad 1949, AlSaedy studied painting at the Academy of Fine Arts in Baghdad from 1969-73. He was a student of the late Shakir Hassan al-Said, one of the most significant and influential artists of Iraq and even the Arab World. During his time at the academy Alsaedy was arrested and imprisoned for almost a year. 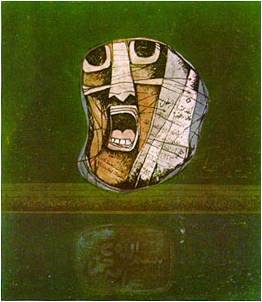 Free again in1979, he organized with other Iraqi artists an exhibition in Lebanon, as a statement against the Iraqi regime. 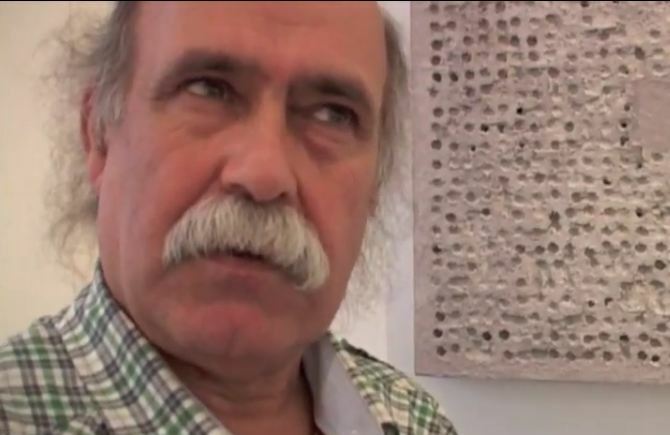 Back in Iraq, he joined the Kurdish rebels in the North, where he also was active as an artist and even exhibited in tents. After the Anfal campaign against the Kurds in 1988 he withdrew to Libya where he could work in relative freedom and where he became a teacher at the Art Academy of Tripoli until 1994, when he came to the Netherlands. 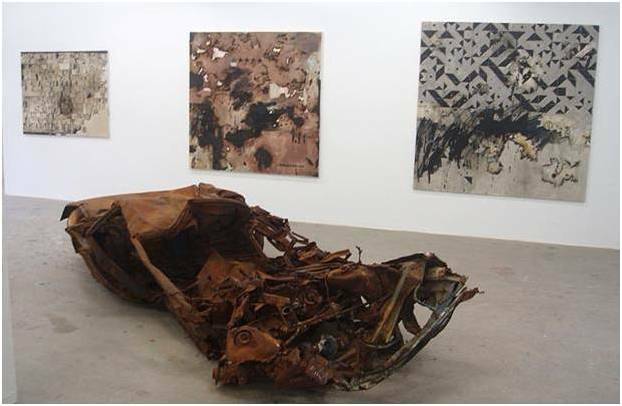 Alsaedy’s work is dominated by two themes, love versus pain and the ongoing cycle of growth and decay, a recycling of material when man leaves his characters and traces as a sign of existence through the course of history. Love is represented by beauty in bright and deep colors. 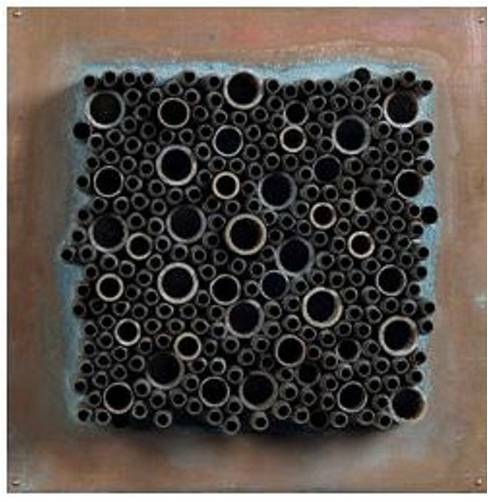 The pain from the scars of war and destruction is visualized by the empty cartridge cases from the battlefield or represented by the rusty nails, an important element in many of his works. “The pain has resolved as the nails are completely rusted away”, states Alsaedy. In his three dimensional work, the duality of pain and beauty is always the main theme. 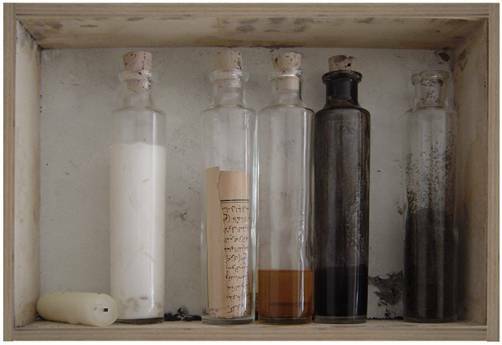 For this occasion Qassim Alsaedy will present his installation of several objects ‘Shortly after the War’. The ceramic objects are created in collaboration with the Dutch/German artist Brigitte Reuter. يذكر ان على اجندة الفنان الساعدي العديد من المشاريع والمعارض التي ستستضيفها بعض الغاليريات والمتاحف في هولندا وبلجيكا والمملكة المتحدة .